Australia’s gas export contracts are facing stiff competition from the United States as Asian customers insist on cheaper LNG from two of the country’s big ventures. 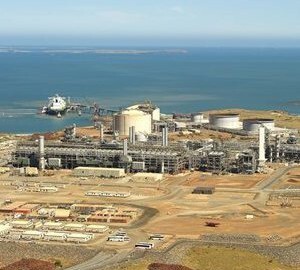 While India is demanding lower prices on one of ExxonMobil’s Gorgon contracts, Woodside Petroleum is facing price problems in its Western Australian Pluto project, The Australian reported. According to Indian newspapers, state-owned gas company GAIL is asking for cheaper prices on gas it has consented to purchase from Gorgon through Petronet, according to Indian newspapers. GAIL has a 12.5 per cent stake in Petronet. India’s Economic Times reports Petronet is checking whether it is feasible to renegotiate its contract to purchase 1.5 million tonnes of LNG a year from Gorgon. 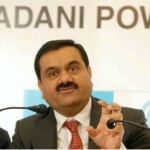 “The circumstances under which price provisions were agreed in the said sales purchase agreement for Gorgon have changed significantly and the same has long-term implications for Petronet and the regassed LNG off-takers (and Petronet shareholders), GAIL, India Oil and Bharat Petroleum,” GAIL said in a letter to Petronet. Pluto’s two clients, Tokyo Gas and Kansai Electric, are demanding Woodside take changing global gas conditions into consideration for price talks over their 15-year contracts. This could mean new Pluto prices will not be as bountiful as large WA gas contracts signed on other LNG projects such as Gorgon. The situation puts Gorgon operator and 50 per cent owner Chevron in a difficult position, which lost a $30 billion gas contract with Korea Gas. This means 35 per cent of its volumes from the 15.6 million tonnes a year venture remains uncontracted. Woodside and its two Japanese Pluto clients are in discussions to change LNG prices to correspond with present market prices from April. This is when a ‘sweetener period’ that capped at around $US8 per million British thermal units will finish. Spot prices in Japan stand at about $US15. It is not known how much price discounting Woodside will have to take. If it is $US1 per mmBtu below prices settled by Gorgon in its India agreement in 2009, Woodside would take a $70-$80 million hit in its earnings. Woodside recently announced plans to resume gas exploration as it looked to expand its $15 billion Pluto project. It said it will use two drill rigs to explore waters near Pluto in early 2014. But the company later downgraded its yearly production estimates after a technical problem compelled it to temporarily shut down is Pluto LNG plant. It said it now predicted the annual output to December 31 would be between 85 million and 89 million barrels of oil equivalent compared to 88 million and 94 million before. Buyers from the Asian market are asking for gaps in global gas prices to close as East Africa and the US, where there is an oversupply, are coming in with cheaper new supplies. This is putting increasing pressure on prices. 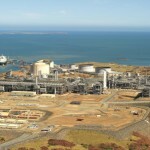 A senior Santos executive recently warned rising development costs could hamper the LNG industry unless Australian oil and gas companies work together to process gas. He warned while demand would remain high for LNG, high costs in Australia could impair the development of gas.s. Focus has increased on gas buyers in the past few months as the US granted a second LNG project to export to countries without a free trade agreement. Russia wants to redirect gas and LNG to Japan and China as demand dips and pricing in Europe reduces. Price pressure on uncontracted Australian LNG volumes, and those with contract clauses that permit pricing structures to be modified in correspondence to market prices every three to five years, has been in the offing. But the proposal to renegotiate a current contract from India will call into question the effectiveness of pricing formats set in 15-20 year LNG contracts, particularly those signed with India and China. Analysts have cast doubt over their commitment to long-term contracts. It will also impact Australia’s LNG export returns and tax take. LNG contracts related to changes in oil prices are signed under what is called a ‘slope’, which is when LNG price is paid when oil stands at $US100 a barrel. 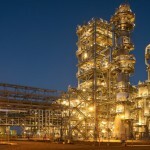 The Economic Times said Petronet’s Gorgon contract was signed at a slope of 14.5 per cent. This means LNG is priced at $US14.50 when oil is at $US100. "A traditional slope of 14.85 per cent appears out of reach (on Pluto) and we also see risks to our 14 per cent base case assumption given yen depreciation, increasing certainty around US exports and coal-seam gas projects signing in the 13.8 per cent range," Merrill Lynch analyst James Bullen said. He added Woodside’s 2014 revenue were predicted to be $2.02 billion at a 13.5 per cent slope, down from $2.09 predicted at 14.5 per cent. Merrill Lynch forecasts earnings would dip to $1.94 billion at 12 per cent. Woodside was one among the LNG industry to warn $150 billion worth of investment could be lost in Australia if the high cost of building major projects is not fixed within 18 months.